The last 501 years have been nothing short of complicated for Lutheran-Roman Catholic relations. Generations of inherited animosity coupled with conflicting dogmatic differences have kept the two denominations at odds for the better part of half a millennium. In the last few decades, however, there has been progress toward reconciliation between the two churches: the 500th anniversary of the Reformation also marked the 50th anniversary of Lutheran-Catholic dialogue. In honor of both anniversaries, Pope Francis co-hosted Reformation celebrations with Lutheran leaders. An experiment by Gary Aamodt and Celia Ellingson, members of Mount Olive Lutheran Church in Minneapolis, hoped to build on this trend of ecumenical reconciliation. Inspired by the anniversaries, they had a vision of a Lutheran-Catholic choir performing in the Vatican on the 501st anniversary of the Reformation. 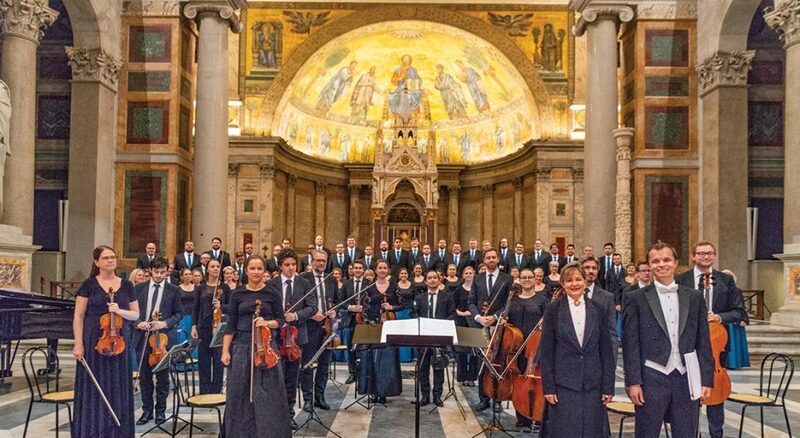 When an invitation from the Vatican arrived in September 2017 to perform at the International Festival of Sacred Music and Art in fall 2018, which coincided with the 501st anniversary of the Reformation, the vision became a reality. In response to the invitation, Aamodt and Ellingson created the Together in Hope Project, a nonprofit corporation dedicated to working toward Christian reconciliation and unity through music. Through the project, they built a 65-person professional-quality choir that brought together Catholics and Protestants from the Twin Cities. 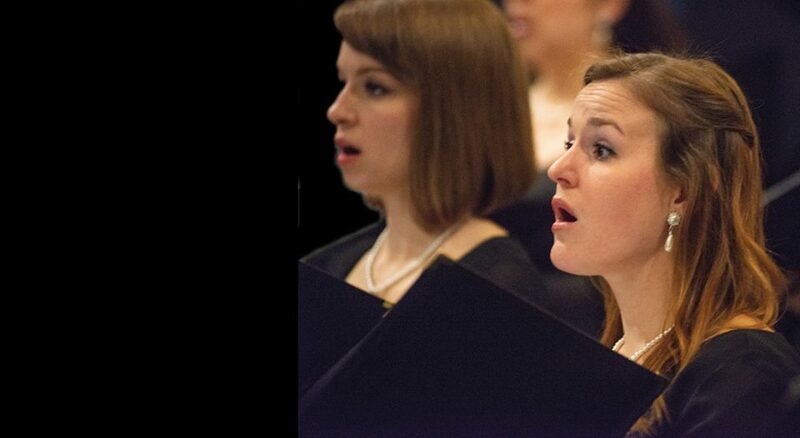 Mark Stover, professor of music and associate director of choirs at the University of Michigan in Ann Arbor, and Teri Larson, director of music at the Basilica of St. Mary in Minneapolis, were chosen to direct the choir. 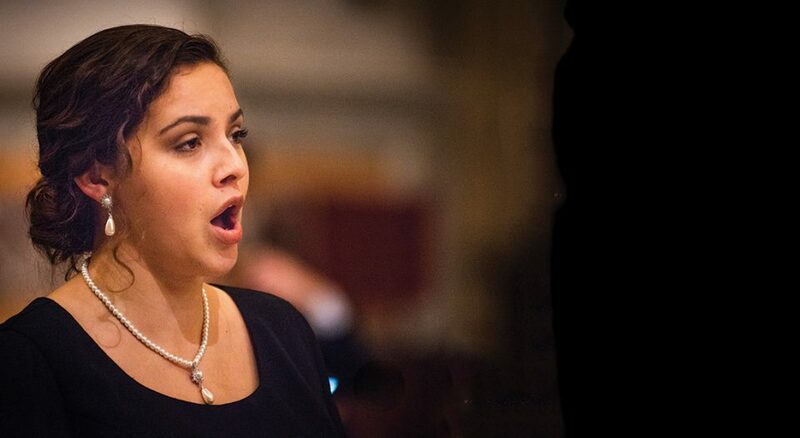 The Trondheim Soloists, an orchestra from Norway, was selected to accompany the choir. Since the music performed at the Vatican needed to be significant, Norwegian composer Kim André Arnesen was commissioned to compose a piece that would premiere at the festival. He wrote “So That the World May Believe: A Motet for Unity and Service,” which was inspired in part by Aamodt’s experience at an ecumenical monastery in Northern Italy and dedicated to Pope Francis. The choir performed this new composition as well as “The Holy Spirit Mass,” another piece composed by Arenson and performed at the 500th anniversary of the Reformation the year before at the Basilica of St. Paul Outside the Walls in Rome. “It was stunning,” Ellingson recalled. There was no shortage of memorable moments during the week in Rome. Aamodt and Ellingson recalled at least four once-in-a-lifetime experiences. A memory that surfaced for many was a private concert in the Sistine Chapel. In total, about 180 people traveled to Rome with Together in Hope. 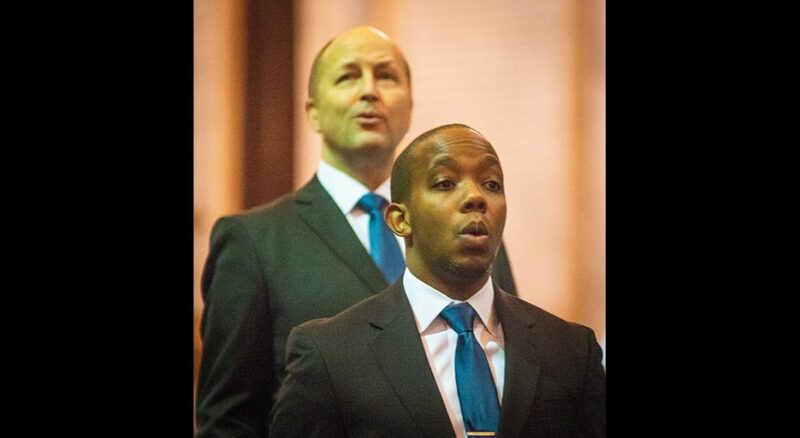 In addition to the choir and orchestra, there were more than 110 goodwill ambassadors from the Twin Cities. 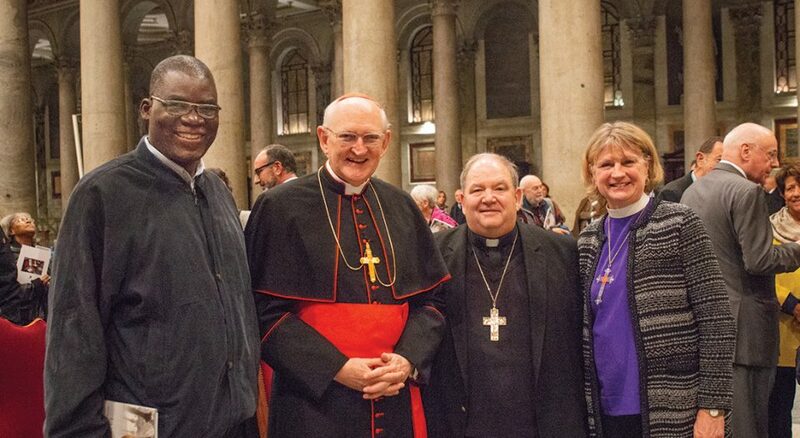 Ann Svennungsen, bishop of the Minneapolis Area Synod, and Bernard Hebda, archbishop of the Archdiocese of St. Paul and Minneapolis, represented both denominations as goodwill ambassadors. “We were invited together, and that was a really key part for me. The fact that we were both there was pretty remarkable,” she said.